The city of Mumbai has a special relationship with film and cinema halls. “You pass these talkies in the taxi, on your daily commute... You pass these structures and think they’re just single-screen, old-school cinemas. But they’re revolutionary technology,” says Simin Patel, a historian and blogger at Bombaywalla, an organisation that curates and explicates historical works. Simin has been instrumental in Talkies Of Bombay– A Forgotten Secret, the third edition of The Bombay Canteen’s immensely successful cocktail book. Branded as “a guide for vacationists and a gift for locals,” this mixology guide is no ordinary one: Talkies of Bombay immortalises and celebrates Mumbai’s love for celluloid gossip, glitz, and glamour by taking you on a historical, literary tour of its ‘talkies,’ cinemas that first introduced sound to movies, marking a huge milestone in filmmaking. “I think city history can be preserved in creative ways... There are collaborations between restaurants, branding agencies, and other organisations who engage with public history and can make it creative and fun,” Simin tells me of her motivation to see this project through with The Bombay Canteen. 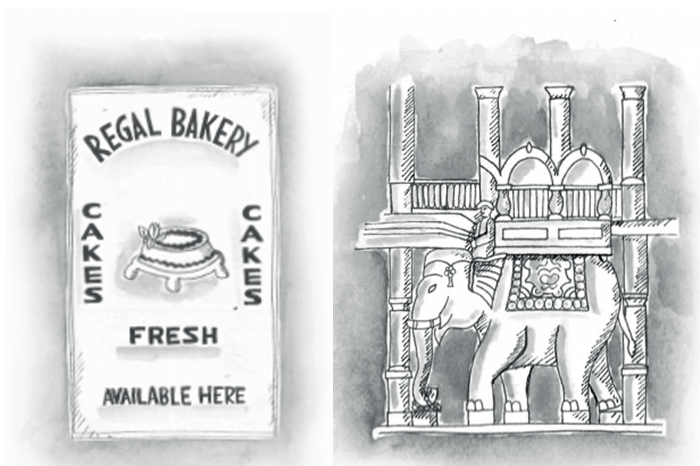 Designed by Please See, Talkies Of Bombay– A Forgotten Secret opens with beautiful illustrations inspired by the art deco architecture of the oldest and most regal movie theatres in the city. The entire look of the book is structured as end credits for a movie, with headings like “Starring” and “Now Serving” when introducing cocktails. 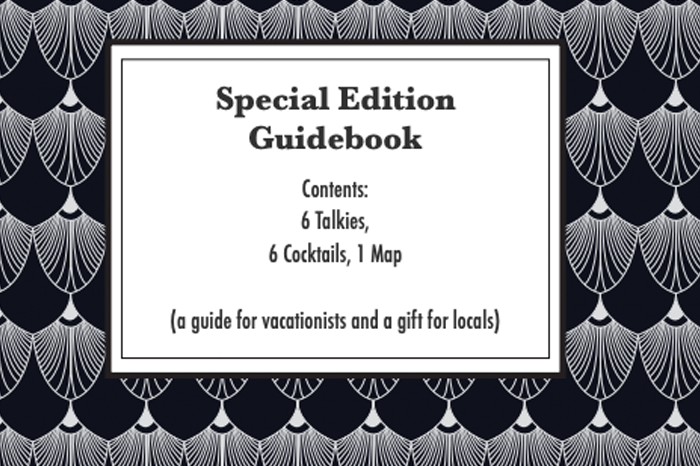 Along with including details of ingredients, prices, and descriptions of the drinks, the book takes its readers through which talkie inspired the cocktail and the building’s history. “When Aurora was declared open on 12th March 1942, Matunga;s South Indian residents were relieved,” reads the opening lines of the chapter on Aurora, a talkie in Matunga. 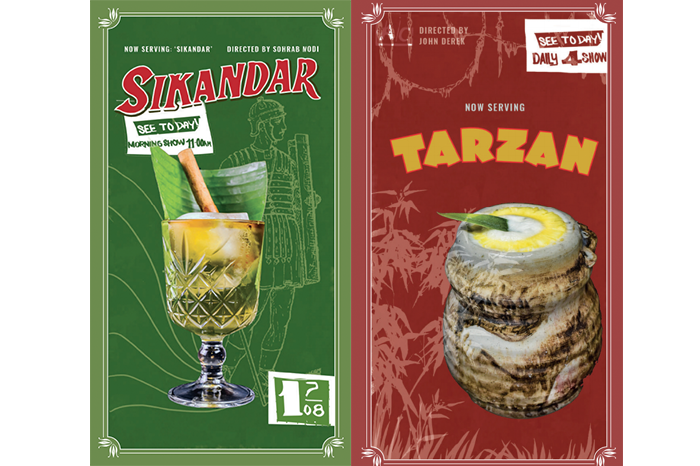 Then follows the cocktail, ‘Sikandar,’ inspired by the 1941 film which is an Indian retelling of the battle between Alexander the Great (Sikandar) and Porus (King Puru played by Sohrab Modi). Simin’s favourite cocktail, taste-wise, is this one: the Sikandar. She also talks fondly of her finds during research for other featured drinks: that there are hidden elephant statues punctuating the trail around the sprawling Lamington Road estate that Imperial Cinema is built on, that Alfred cinema on Grant Road had a neighbouring Chinese dentistry community, and that plum cakes were a staple at Palace in Byculla. “People have responded positively saying they’re understanding their surroundings more and feel connected to the city. When you look at the building [a talkie], you get some context. Now you can say, ‘Ah, this was the first talkie that marked the age of talkies,’” said Simin excitedly. Researched and written by Simin Patel of Bombaywalla, the third edition of The Bombay Canteen’s cocktail book, Talkies Of Bombay– A Forgotten Secret, is now available for purchase at The Bombay Canteen.